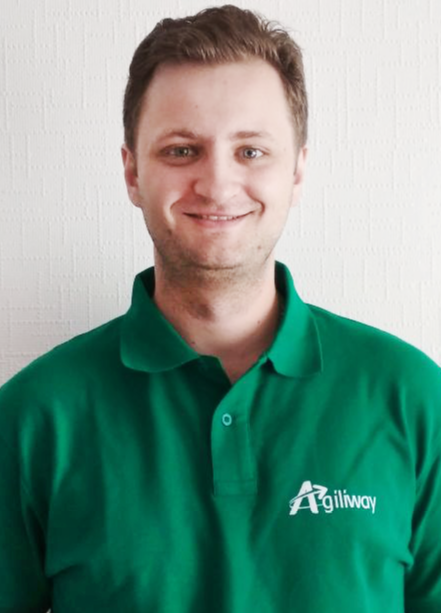 Having developed a competency in OXID eShop, Agiliway has been constantly looking into advantages and disadvantages of the platform. In one of the recent articles, we have compared OXID and Magento, as the two platforms are known to target at the same audience. Now, we have decided to show this e-commerce platform from a viewpoint of a developer. Our leading OXID engineer, Oleksiy G., has told us what he likes and doesn’t like about OXID in the interview we invite you to join. Q.: Hello, Oleksiy. Please, tell us how you started working with OXID. What motivated you to come to grips with the platform? O.G. : Hello! What motivated me? A project to complete! (Laughing) OXID eSales is not as popular in our region as Magento or WooCommerce and I did not consider mastering it rather than another e-commerce platform. However, now, having worked with OXID for a longer time, I am eager to work with it and develop proficiency in the software even further. Q.: Does OXID have a steep learning curve? How long does it normally take to learn it? O.G. : Well, if you start with a real project, a month or two are generally enough. It obviously takes less to learn OXID than to learn Magento. Of course, the process of learning is not easy, as OXID eShop has poor documentation. There are no documented cases, with the help of which you can learn to resolve issues, and there are almost no explanations of basic notions. Eventually, the solution may turn out to be simple but you can search for it for a very long time, collecting tiny bits of information from various resources. And, yes, this is important to know that to learn OXID, you need to know or learn German first as all of the resources are available only in a German language. However, as soon as you understand specific features of the system, you start to appreciate tons of benefits it provides. Q.: Please, tell us more about these benefits. What do you like about OXID? O.G. : The software is really great. First of all, object oriented programming allows much flexibility. Of course, OXID does not have the flexibility of a framework, but I think some flexibility was intentionally sacrificed for the sake of rapid realization of an e-commerce project. You do have the ability to rapidly carry out an e-commerce project, which is highly valued on the market. In addition, a lot of features are available already in the community version, so you can accomplish much satisfying and often exceeding clients’ expectations. Another thing I like about OXID is that the software actively incorporates latest solutions. In particular, it uses a few Symfony components and smarty templates that are not difficult to create and that actually abound in the Internet. In addition, it is great that you can create modules with the help of separate composer packets. The case is you often need the same basic modules for many projects. With a composer, you just write a list of modules you need and they are installed automatically as soon as you roll out the new project. Q.: What makes the work with OXID eShop complicated? O.G. : The lack of documentation is the greatest downside of the software, I quess. Another disadvantage is that a class extension system, which you need to use to create custom features, is rather tangled. The class extension system is not bad in itself, but it can be very confusing, because if your code is a bit incorrect, you will have a great dependency and it will cause much inconvenience. For example, you will have to activate modules in certain order. If two or more developers work on one project, the chances of disrupting dependencies are high. This is why coders working on the project need to create a documentation determining who does what from the very beginning. Q.: Experts say that with its latest version, OXID eSales has made a profound change from a “dinosaur-ridden” company to the top e-commerce software, similar to Magento. How do you assess OXID eShop 6.0.0 in comparison to older versions? O.G. : Actually, all the advantages I have mentioned relate to the sixth version. I had a chance to work with an earlier version, OXID eShop 4.7, and the difference between the two versions is really profound. The company did not only resolve some issues, it modernised the core code of the software, as many features were not possible because of the outdated version of PHP the software used. OXID 6.0.0 has much more features, but it is still transitional, because it supports the old code. New versions, which are to come, will no longer support it. Q.: What other improvements do you expect from OXID eSales? O.G. : First of all, they have to remake the admin panel, which is not user-friendly now. I expect they will change this in the new versions. There are some other things, which should be attended to, but they are all details, which do not make any considerable difference. Q.: Do you share your insights with an OXID community? How big and active is it? O.G. : OXID community is not very big and it is exclusively German speaking. You cannot find any meaningful support in another language. The community has its events to share knowledge and resolve issues and our clients have attended them (the events, again, are organised mostly in Germany). We are proud to know that one of our clients has even taken part in the community competition for the title of the largest project carried out on OXID. Q.: Sounds great! So will you recommend OXID to other developers and customers? O.G. : Yes, I will. OXID eShop is great for programming. Comparing to using Magento or WooCommerce you can really do much with a code here. You do not have to create hooks to have your code called under certain circumstances, and then create hooks to enable hooks… You just make respective changes in the class extension system. It is very comfortable. Thus, anyone who codes well in PHP should not be afraid of taking up a project on OXID. Concerning customers, OXID eSales allows to create great scalable projects with a short time to market and provides many useful marketing tools, so I do recommend to choose this platform for e-commerce solutions. 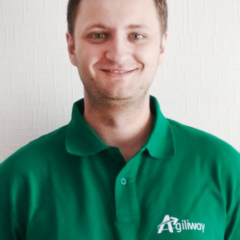 I or my colleagues from Agiliway will eagerly assist our clients in this venture. Q.: Thank you very much for sharing your insights with us.